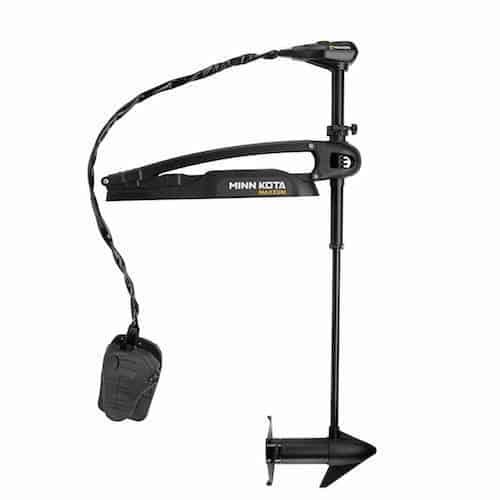 Bow mount trolling motors are the most popular style in the angling world. The MotorGuide X5 is this year’s overall category winner, representing the best all-around choice for the average angler in need of a bow-mount trolling motor. Skip down to read more about the MotorGuide X5. 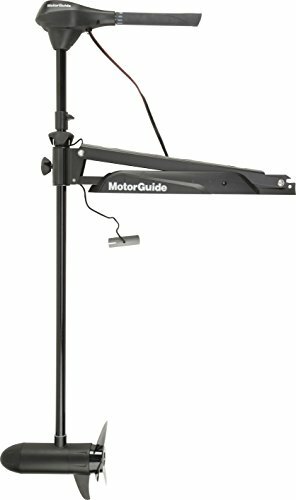 Anglers looking for a bow mount trolling motor representing entry-level technology at an affordable price should consider the MotorGuide X3. Skip down to read more about the MotorGuide X3. Anglers with no cost constraints who are seeking an impressive technology package should look at the Minn Kota Ritpide Powerdrive series of bow mount trolling motors. Skip down to read more about the Minn Kota Riptide Powerdrive. The Minn Kota Maxxum represents a good choice for anglers seeking a well-balanced mix of solid state trolling motor technology. Skip down to read more about the Minn Kota Maxxum. The Minn Kota Terrova represents a good bow mount trolling motor choice for anglers interested in technological innovation. 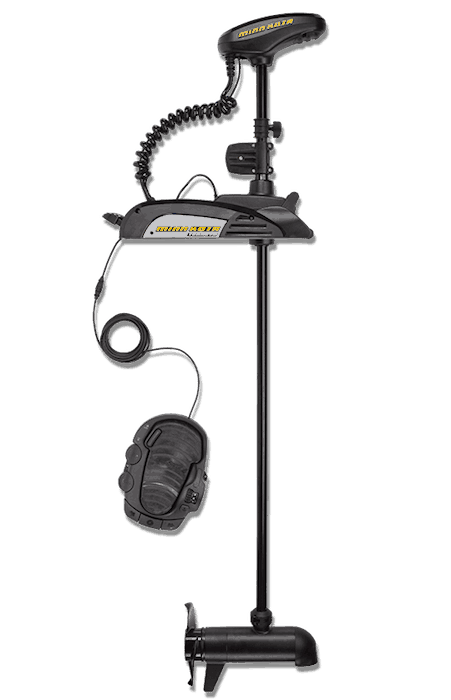 Skip down to read more about the Minn Kota Terrova. A bow mount trolling motor offers a lot of advantages to anglers, but finding one that is going to match your boat and water and give reliable, top-level performance can be difficult for a lot of people. Because we know from personal experience what it’s like to have a trolling motor that doesn’t live up to your standards, we assembled put together this best bow mount trolling motor review. We will look at some key features you should be aware of when determining which bow mount trolling motor is best suited for you. The thrust of your trolling motor, measured in pounds, depends on the size of the boat, how much space you have, and the type of water you are going to be navigating. For boats that are going to be using a bow mounted trolling motor, room is often not an issue, but we don’t know what your situation so keep it in mind while going through this review or branching out to look at other trolling motors. Most trolling motors are going to come with a general boat size recommendation. Even with the manufacturer’s recommendation, there is a general rule of thumb which is that you need 5lbs of thrust for every 200lbs of boat. While room is a limit due to batteries needed, we like to err on the larger size. Don’t overdo it but an extra ten or twenty pounds of thrust gives you better control in choppy water and strong currents. With a bow mount there are two main styles of control you have over the motor; a foot pedal or a hand tiller. As far as the better option goes, we think it comes down to personal preference. 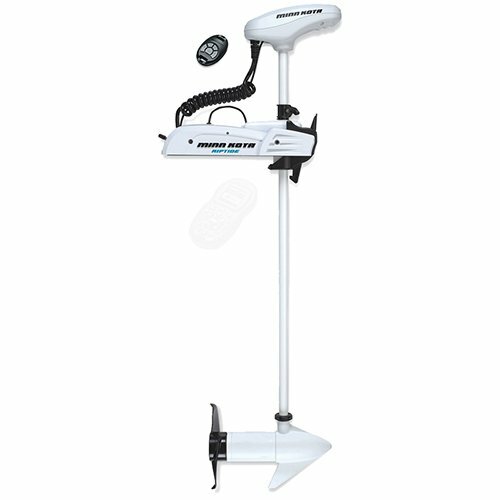 For bow mounted trolling motors, most people want a foot pedal because it allows them to control the motor while keeping their hands free for fishing. The one problem to look out for is that some foot pedals tend to wear down on trolling motors that are not well made. Hand tillers make it harder to fish while maneuvering but it is easier to master and control a hand tiller than a foot pedal. The length of the motor’s shaft is an important aspect of the motor whether it is controlled by a foot pedal or by a hand tiller. It is probably even more critical with a hand tiller where you must balance depth of the motor head with a comfortable position for its use. There is a general rule for the length of shaft that you need on your trolling motor. It all depends on the length from the bow to waterline or from the transom to the waterline. Most trolling motors have a tension adjustment on the shaft that allows you to adjust the height of the shaft. We have outlined a general guideline below for choosing shaft length. What we want to focus on here is freshwater vs. saltwater. While you need to clean your trolling motor regularly, it is essential that the trolling motor you pick has excellent corrosion resistance qualities if you plan to fish in saltwater environments. Materials: For saltwater use, you want to key in on a fiberglass composite and stainless steel that has been anodized to cut down on corrosion. Anything else is going to corrode like crazy even with a lot of attention to cleaning the motor after every use. Seals: It’s near impossible to keep all the inner workings of your trolling motor unexposed to saltwater, but saltwater trolling motors should have marine grade plastic that houses electronic parts. Anodes: The top saltwater trolling motors are going to use a “sacrificial anode” that protects important metal components within your motor from corrosion. These are almost always zinc and it’s a component you should keep your eye out for when looking at trolling motors to be used in the salt. It’s important that your trolling motor can be easily deployed and stowed and once in either setting is fixed to minimize unwanted motion and vibration. This has a lot to do with the mounting bracket as well, but we have found that motors that transition between being deployed and stowed smoothly are usually much quieter on the water as well. A lot of trolling motors using a cord and lever mechanism to raise and lower the trolling motor. These are the most common be keep an eye for wear on the cord as they tend to break after a few years of use. What is becoming more common on high end trolling motor is an automatic stow and deploy which makes life a lot easier but is more expensive to fix when issues arise. The X5 bow mount trolling motor from MotorGuide comes in a 55, 70, 80, and 105lb thrust option, so there is a model that is going to provide the power needed to maneuver most boat sizes between 16 and 25 feet. There are a ton of models of this trolling motor that is available (over a dozen). Where they differ is in the shaft length as well integrated sonar. All of these models use a digital variable speed control which we think is a plus for conserving battery life and it gives you finer control over the exact speed that you need. 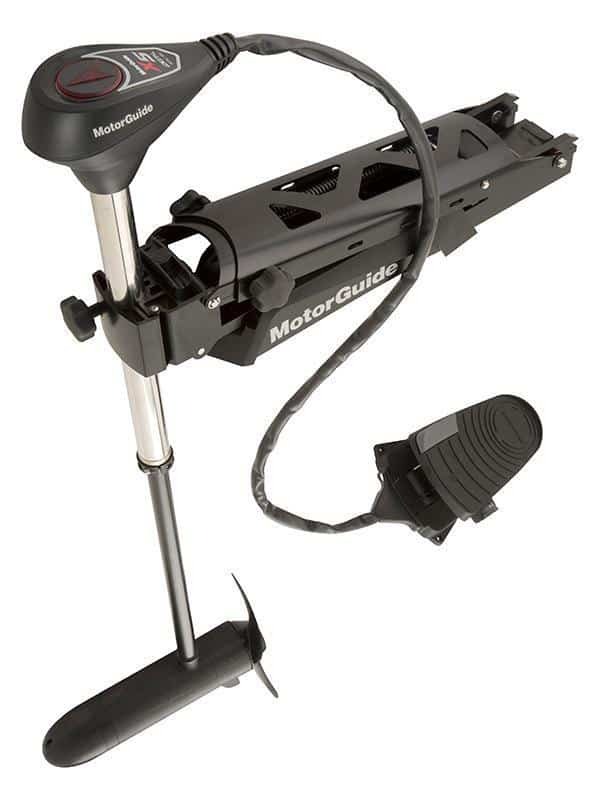 MotorGuide uses a dual cable that runs between the foot pedal and control head. They also use a technology called Variable Ratio Steering. What you need to know about this is that the steering for this model is incredibly sensitive. There is no torque, no slack or pause when handling the motor direction and speed, and it has incredible responsiveness. If you need fine control of your motor and boat, the X5 is one of the top options available. The other major feature of the X5 that landed it on this review is the tough mounting bracket and shaft. The mounting bracket is not small, and it takes up quite a bit of room, but it is tough aircraft grade aluminum that can take some abuse. The shaft used for these trolling motors have an interesting design. It is two columns; an inner composite shaft and an outer stainless steel shaft. This two column design gives you the flexibility of composite with the strength of stainless steel. These motors also feature a snap back breakaway mechanism that is going to protect the bow of the boat in the case of impact. These features provide an a workhorse of a trolling motor. Overall, this is a great trolling motor. It runs great on the water, and it comes with a lot of features that aid in deploying and stowing the motor. Of course, its biggest advantage is the VRS steering. If you fish a lot of tournaments or are just a diehard angler, it makes fishing and handling the motor much less frustrating. See our MotorGuide X5 Review. Since we hold the X5 series from MotorGuide in such high regard we had to take a look at the X3 as well. The X3 features trolling motors that overlap in thrust options with the X5 but it does have a smaller 45lb thrust option with shorter shaft lengths that might be more compatible with smaller vessels in the 12-16 feet range. The X3 also has the Variable Ratio Steering which we talked more in depth in the X5 review. If you don’t need the amount of thrust provided by the X5, but want unmatched control, the X3 is the perfect medium at an affordable price. We dove in a little more deeper with the X5, but the VRS steering is at the front of the field when it comes to trolling motor control. All models also feature the composite shaft material, forward motor direction, LED battery meter, and the Safari two blade prop. This prop along with the thrust make this trolling motor great for navigating through weed beds and other vegetation. Check out the video below where Barry Stokes describes his experiences using this motor. Depending on the model size, you will need either a 12V or 24V deep cycle battery to run these motors. As with the X5, all of the X3 has a sturdy base made from aircraft grade aluminum mounting bracket. It has a wide base that might take up a bit more room than other bow mounts of this size, but it provides a lot of stability. It’s not just the base that has some extra durability and ruggedness built into the design. The X3 uses square composite pins, rather than metal, that is going to help increase the quietness as well as the lifespan of the bracket. There are three types of speed control depending on the model. The first is a digital variable which we think is the most efficient speed control option. Some models come with a five-speed control option, while the remainder have a five forward/two reverse speed control. The MotorGuide X3 is a solid purchase. The VRS steering along with the sturdy mount and build of this trolling motor cover the main concerns of a trolling motor expected to be used heavily. See our MotorGuide X3 Review. We wanted to be sure to include a bow mount trolling motor that shows excellent corrosion resistance and performance in saltwater in this bow mount review. 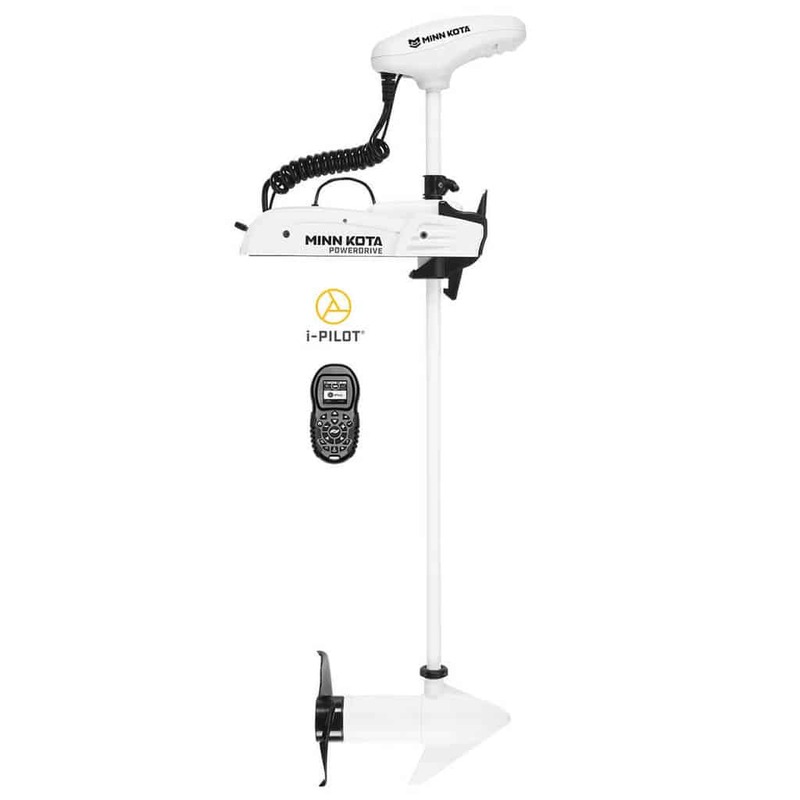 The Riptide Powerdrive from Minn Kota was our top choice. There are several model options available, and they all share a lot of the same features. Your first choice is between a 55 or 70lb thrust options with both of these thrust options having the option for the innovative i-Pilot or Co-Pilot options for the Powerdrive and are major points of interest for this particular trolling motor option. 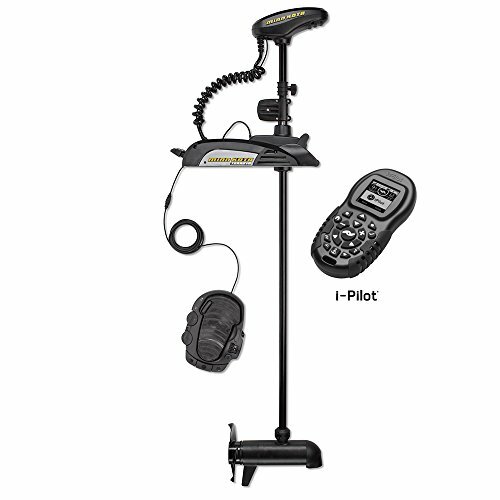 What stands out to us for this model of trolling motor are the options for Minn Kota’s I-Pilot or Co-Pilot feature. I-pilot is a Bluetooth feature that allows you to control the direction and speed of the trolling motor through a mobile app on your phone. Through this app you have wireless GPS control, can record and retrace previous paths, and also use a GPS anchor where the trolling motor stays locked into a specific area allowing you to focus on fishing or whatever you have going on out on the water. 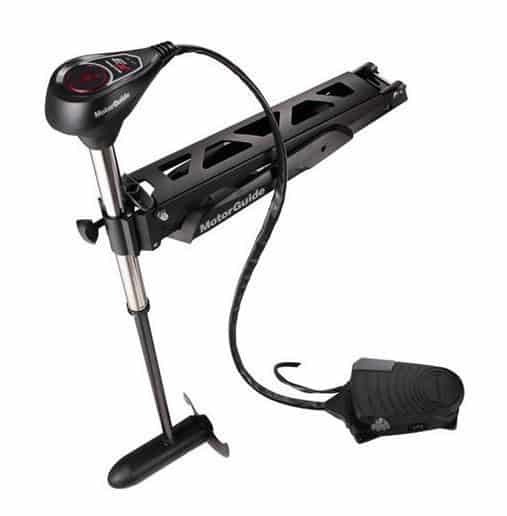 Besides the software, the Riptide Powerdrive has other great features built into the trolling motor such as the deploy-assist lever which allows you to simply press a lever to deploy the trolling motor. The trolling motor also has a push to test battery meter that is highly accurate. The trolling motor uses a digital maximize for speed control and comes with a weedless wedge 2 prop and composite shaft that can stand up to underwater impact extremely well. The Riptide Powerdrive has Minn Kota’s Saltwater Advantage which includes fully encapsulated and sealed electronics with marine grade urethane, anodized plating, powder primer, and zinc anode to reduce corrosion. We give the Minn Kota Riptide Powerdrive an A rating. It is built to last in saltwater conditions, provides all of the key features most users want in their trolling motor, and the wireless GPS control software is the future of trolling motors. The Maxxum does not have the bells and whistles of the Minn Kota Terrova, but it is a hardy and reliable trolling motor. For the bow mount models, there are a 55, 70, and 80lb max thrust options. . As you have seen previously, these models also come in several shaft lengths but it spans from 42 to 52 inches, and the depth of the motor can be adjusted easily. We like the control you have over the motor with both the hand and foot pedal options for the Maxxum, and all the information we can find corroborates this feeling. 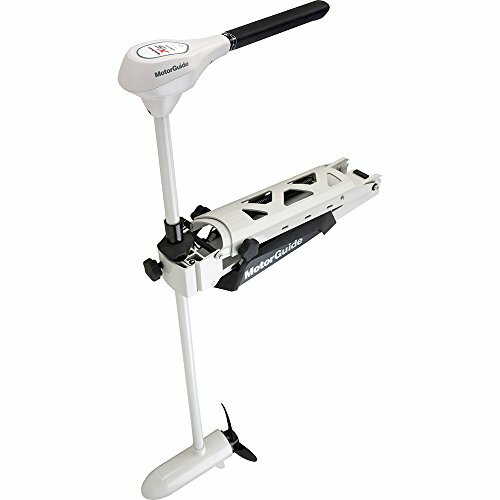 The foot pedal is easy to navigate through the various dials and switches, and the hand tiller can extend and tilt to give you the most comfortable control depending on your setup. There is the Digital Maximizer (Variable), 5-speed, and 5fwd/3rev speed control option. All speed control options provide smooth speed transitions on the water. Where we think the Maxxum stands out is its durability and the features that are built into the design to help protect your boat. The Maxxum Mount mounting bracket, composite shaft, and 360 Bowguard all provide the ruggedness and impact resistance wanted in a trolling motor that is going to see heavy use. There are a lot of features on the Maxxum besides its sturdy build that are very useful on the water. The Weedless Wedge 2 Prop is one of these features. The length and flared back design allow it to function well in thicker vegetation without bogging down. The push battery meter and the illuminated directional indicator (foot models) are all small but useful features. The Kota Maxxum doesn’t have all the flash of some other trolling motors in this review, but not everyone needs those features in a trolling motor. It’s rugged, reliable, and runs smoothly. What else do you need in a trolling motor? See our Minn Kota Maxxum Review. You should know right off the bat that there are quite a few model options that are available that differ in max thrust, shaft length, sonar, and I-Pilot. Thrust options include a 55, 80, and 112lb thrust models so there is most likely a Terrova that is going to fit your style of boat and each has several options for shaft length. The other major option you have for these trolling motors are the I-Pilot link and I-Pilot. This technology will let you control the trolling motor from a remote (I-pilot) or a compatible fish finder (I-Pilot link). With this technology, you can control the trolling motor remotely from anywhere on the boat. I-pilot allows you to easily record specific paths that can be retraced, such as along underwater ridges or banks or you can use the Spot-Lock feature to keep the boat in a specific area without adjustments. Some models also come with an Auto-Pilot feature which allows you to input specific paths or destinations and the Terrova gets you there. It also allows you to automatically repeat a specific troll path where you had some success or run along specific paths such as over ledges or along shorelines and does so with accuracy. We like the foot pedal on the Terrova and have not found anything negative about it when searching out for user reviews. Everything can be controlled from the pedal easily with clearly defined buttons for different functions, including the spot-lock function. The controls are extremely sensitive to your demands, and it resists flexing over time extremely well. The mount gives you a sturdy base, and the composite shaft can handle a tremendous amount of stress, and Minn Kota is confident enough to sell it with a lifetime warranty. The lift assist design used on the Terrova is probably the least talked about feature of the Terrova but might be the most useful. The stow and deploy lever make deploying and stowing this trolling motor effortless. Overall, the Minn Kota Terrova’s sturdy build, reliability, and advances in trolling motor software leave little to be wanted. See our Minn Kota Terrova Review. Before you use this information to start deciding on a trolling motor that fits your needs, we like to take our picks and give a few additional accolades. We also hope that we have outlined some of the basics of bow mount trolling motors and some characteristics you should keep an eye out for when looking at the numerous models that are on the market. Our pick for the overall winner for the best bow mount trolling motor goes to the MotorGuide X5. You have a ton of model options that include thrust, shaft length, and integrated sonar, so there is an X5 out there that matches well with your boat. It’s built from quality materials that are not going to break down after a few trips on the water, and we like the aircraft grade aluminum mounting bracket. The feature of this trolling motor that really stands out to us is the VRS steering. It’s one of those features that you don’t realize how much more efficient it is than other trolling motors until you have the foot on the pedal. Our pick for the bow mount trolling motor that incorporates new and innovative technology goes to the Minn Kota Terrova trolling motor. It’s so much more than just the wireless control that lands the Terrova here. 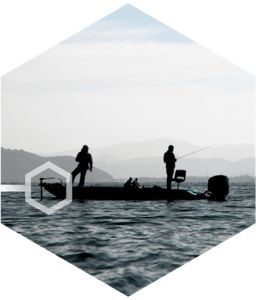 With I-Pilot or I-Pilot link, you have much more control over the trolling motor without having to constantly adjust the direction and speed manually. With the GPS Spot-Lock, JOG, and Autopilot, you can focus almost solely on fishing when in the boat.